Calling all snowbirds — enjoy beach living for the winter and see why so many are “flying south” to our beaches. Take advantage of the milder weather, the natural beauty, and exciting events while living in the Charleston area. 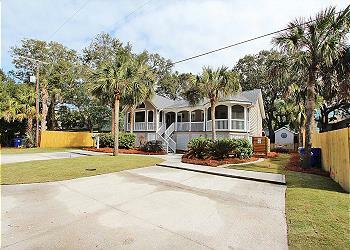 Island Realty offers unbeatable off-season rates for long-term stays of 30-60-90 days or more. These units are primarily available from October-March (some properties may vary). 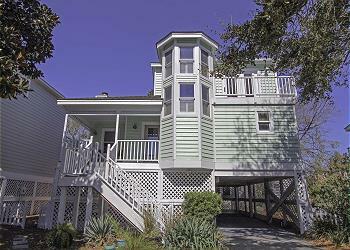 Live on the Isle of Palms, Wild Dunes, or Sullivan's Island and take advantage of the lowest rates of the year. Monthly (30 - 89 nights): Rentals include utility service including water, electricity, basic cable, and local phone service at most units. Monthly rentals are subject to a damage waiver ($35 - $185, depending on the property), and an 8% reservation fee. Travel Insurance is available to purchase for 7% of your rental total and protects you and your stay should you have to cancel for a covered reason. For more information on travel insurance, please click here. Pets are negotiable depending on property or owner approval; a one-time non-refundable pet fee is required for pet friendly properties ranging in fees. Discounted rates are available for monthly rentals. 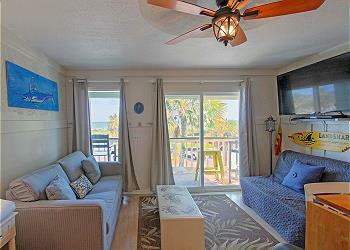 Please contact one of our Vacation Planners at 866-990-5285 for more information on 1-3 month rentals. 90 or more nights (up to 6 months): Rentals of 90 or more nights legally qualify as a lease and are tax exempt. Leases of this variety are subject to a $50 credit check fee , a security deposit equal to one month’s rent, a lease processing fee of 8% of one month’s rent, and a damage waiver of $35 - $185, depending on the property. Travel Insurance is available to purchase for 7% of your rental total and protects you and your stay should you have to cancel for a covered reason. For more information on travel insurance, please click here. Rentals include a utility allotment for water and electric, basic cable, and local phone service at most units. Pets are negotiable depending on property or owner approval; a one-time non-refundable pet fee is required for pet friendly properties ranging in fees. If you are interested in coming to enjoy a 90-day or more Winter Rental, please email Jenny Tuk or Bo Farish and we will be happy to have you as a Snowbird! For more information or to book, please call 855-421-1083.